When watching Scott Sinclair playing for Celtic against Borussia Monchengladbach on Tuesday evening, you felt like you were witnessing the emergence of a new English talent. He has frightening pace that often made a mockery of Monchengladbach’s defence. He displayed brilliant technique in coming within inches of curling the ball into the top corner from the edge of the box. He has already scored nine goals for Celtic this season. He looked like the real deal. Then you realise he is 27 years old and Celtic is his 13th professional club! Similar to a touring musician, much of Sinclair’s career has been spent out of a suitcase. This problem started and was exasperated when he signed for two of the biggest and richest clubs in England: Chelsea and Manchester City. Chelsea signed him at sixteen years of age after he became the second-youngest debutant for Bristol Rovers. He initially flirted with the first team before being loaned out to Plymouth Argyle. This was a sign of things to come as another five more loan deals followed (QPR, Charlton Athletic, Crystal Palace, Birmingham City, and Wigan Athletic). This spell equated to over six years under contract at Chelsea, with Sinclair only making five league appearances for the Blues, while being loaned out to six different clubs. While he could have written a convincing travel blog of England, he couldn’t be blamed for feeling unwanted. Sinclair’s experience is not unique at Chelsea. They have become known as the biggest lenders of footballers in the world. The club’s website details the activities of a staggering 33 payers who are out on loan to various clubs across Europe at present. Most of these players are young and were parts of Chelsea’s relentless success at underage level, which has seen them win the FA Youth Cup in 2010, 2012, 2014, 2015 and 2016. The chances are slim that any of these will break into the first team and even slimmer that they will become regular starters. Roman Abramovich spends tens of millions on big name foreign players that he expects to play. And as we all know, the lifespan of a Premier League manager depends almost entirely on results. A Chelsea manager would have to be brave or foolish to chance youth in this environment, given the fluidity of the Stamford Bridge exit door. It feels like a waste though. Chelsea have one of the best academies in the world but a lack of first team opportunities mean their young players are almost stockpiled, as they are sent around the world with their potential rarely utilised at the club itself. Scott Sinclair finally found regular football when he moved to Brendan Rodgers’ Swansea in August 2010 for £500,000. He was instrumental in their promotion to the Premier League and their successful first season in the league. In all competitions, he scored 36 goals in 91 games for the Welsh outfit. This was enough for Manchester City to invest a reported £8 million in him in 2012. At this stage, Sinclair was still only twenty-three years old and should have been entering the prime of his career. 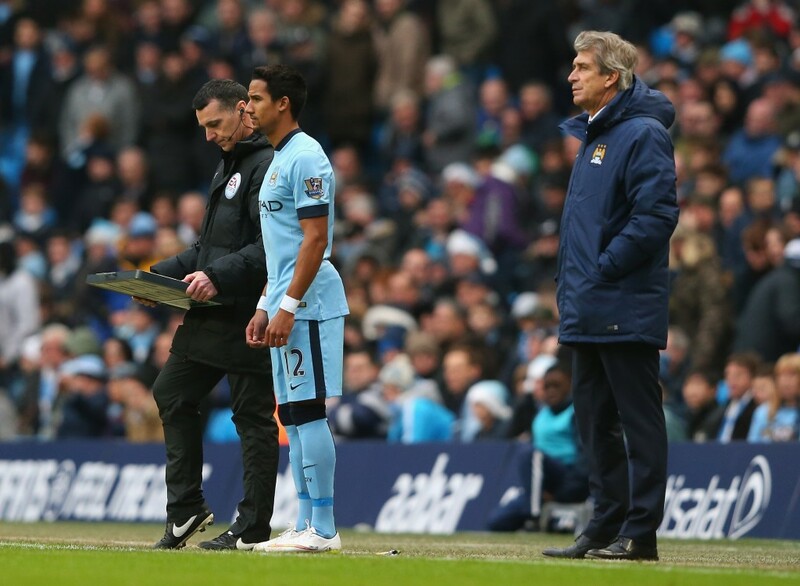 Yet, he would end his debut season for City playing just 190 minutes of league football in the whole season. The following year he was on the road again to go on loan at West Brom. They quickly then sent him back to his owners after a season-long loan that saw him struggle to break into the team. He spent the first half of the 2015/16 season at Man City but was a hidden presence. So after three years at City and just 19 appearances (most as a substitute) he was sold at a loss to Aston Villa for a reported £2.5 million. Sinclair’s experience at City is not unique either. The introduction of the home-grown quota in the 2010/2011 season saw City begin to invest in young British players. Sinclair was one. Jack Rodwell was another. Rodwell joined City from Everton for £12 million as a 21 year old. He was regarded as one of the bright young talents in English football having become a regular starter for Everton from a young age. His time at City was hampered by injuries but even when fit, Rodwell struggled to break into the all-star City midfield. Fabian Delph appears to be currently undergoing similar treatment. He joined City last season for a reported fee of £8 million pounds. At the time he was poised to become Aston Villa’s captain and at 25 should have been reaching his peak too. However, Delph’s first season at City was blighted by injuries. This season saw him start many of Man City’s pre-season games before fading into obscurity like so many of Man City’s English investments before him. Scott Sinclair seems to have Brendan Rodgers to thank for stopping his slide into obscurity. Rodgers has been perhaps the only manager in Sinclair’s career to give him consistent time on the pitch, allowing him now to build his confidence at Celtic and release the potential that big clubs like Chelsea and Man City saw in him in the past. There is the argument that if Sinclair or any of the aforementioned English players were good enough to play at these big clubs then they would have got their time on the pitch. This does seem true. And it is also hard to call these players naive or perhaps greedy for making these moves, when they are huge opportunities that reflect their ambition. However, young footballers, whether English or any nationality for that matter, perhaps need to learn from these examples and become wary of moving to clubs where first-team football is often unrealistic. Sinclair’s career is noteworthy because at the very times he seemed to be progressing and reaching his potential, he joined a big club and his career stalled and regressed from there. It is interesting to note how few of England’s current international team started their career off at the big, rich clubs of English football. In contrast, the likes of Lallana (Southampton), Clyne (Southampton), Alli (MK Dons), Henderson (Sunderland), Stones (Barnsley), Smalling (Maidstone United), and Vardy (Stocksbridge Park Steels) seemed to all benefit from starting at clubs where from a young age they could get plenty of first-team experience, before progressing onto bigger clubs, where they are now fulfilling their potential. In the past two seasons, Man City has spent a lot of money on two young English players; Raheem Sterling and John Stones. The patience they have been afforded despite some questionable performances is perhaps down to their high price tag but it does seem like Pep Guardiola (a master of nurturing young talent at Barcelona) realises the importance of giving these young players time to develop and learn from their mistakes. 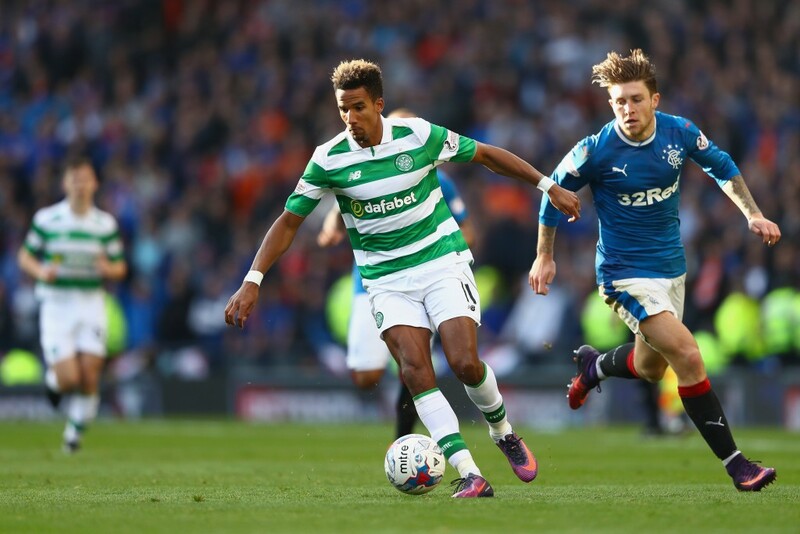 Celtic’s Scott Sinclair didn’t have the luxury of plenty of first team experience at a young age. Things went almost too well and everything happened too fast. For Man City and Chelsea, he was a relatively inexpensive mistake. They moved on with bottomless wallets to the next transfer target. Sinclair, 27 now, will unlikely reach the heights his early career promised. At least at Celtic though he is at a club and under a manager who will give him the time his talents deserve.